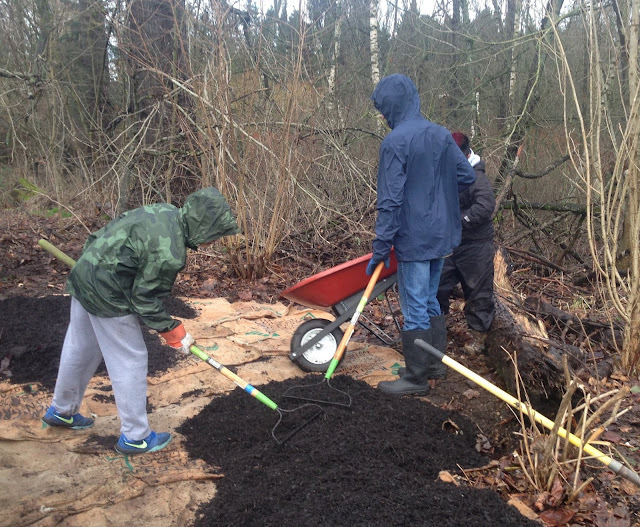 Since their first work party on January 27, 2018, the Boy Scouts of Troop 325, of First Lutheran Church in Shoreline have provided a good portion of the labor for environmental restoration in the southern end of Twin Ponds Park. 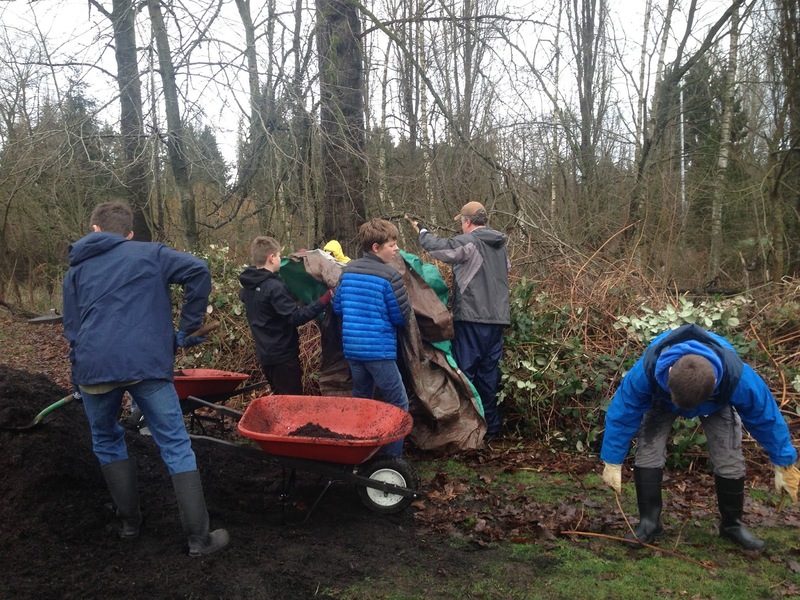 Their efforts have resulted in major changes to wildlife habitat along Thornton Creek.They have participated in the Shoreline Department of Parks, Recreation and Culture’s effort to transform degraded areas into renewed urban forests. The Washington Native Plant Society and King Conservation District have also supported this program. 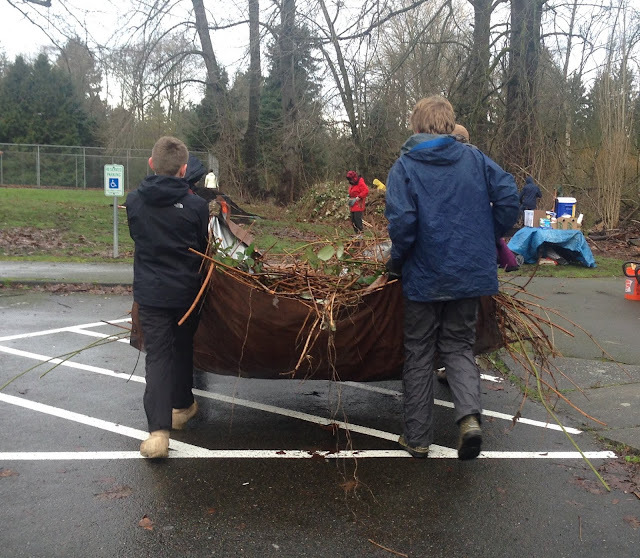 Scouts from sixth graders to high school age participated with their leaders and other volunteers. Beginning last winter they chopped down thickly entwined, invasive, sixteen foot blackberry vines that prevented native plants from surviving and worked hard to dig out as many deeply buried roots as possible. 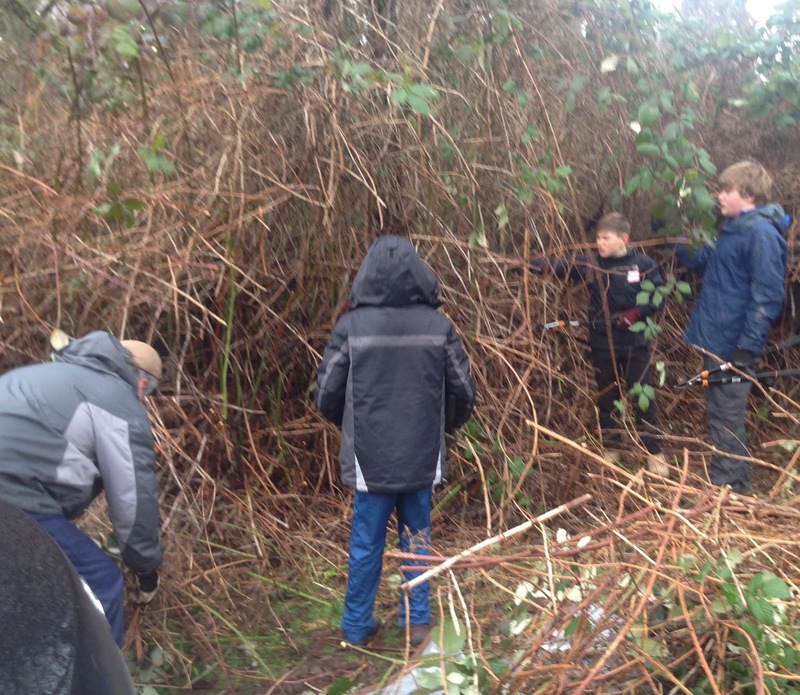 They also tackled invasive laurel, ivy and weeds. 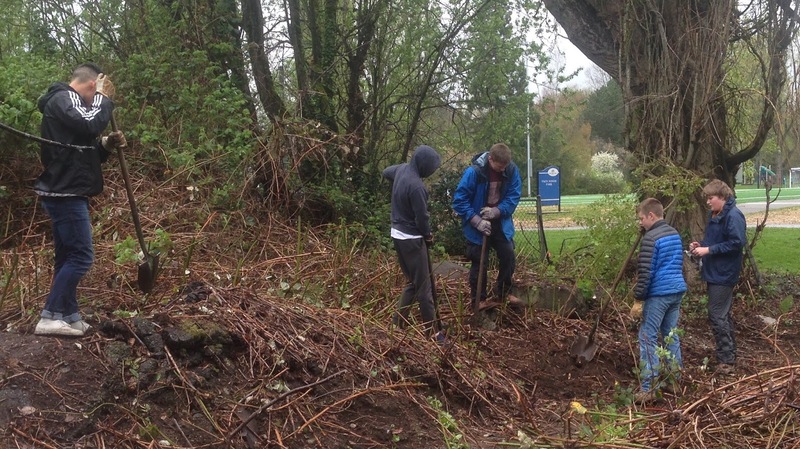 They returned to spread thick layers of mulch on the cleared areas before some Scouts and other volunteers could begin planting trees and shrubs. Over the summer, some blackberries did begin to regrow from fragments of roots left behind endangering our new plants and threatening to swamp the area again. This Fall, the Scouts have returned to dig deep into the soil, sometimes as much as two feet deep or three feet across to remove the large mass of roots still lurking as they spread both horizontally and vertically. It usually takes three years of this work to remove the weeds. Shoreline Park users have commented on the drastic change in the area and some even stop to compliment the hard work they can see happening, noting that one does not often see young people laboring in this fashion. 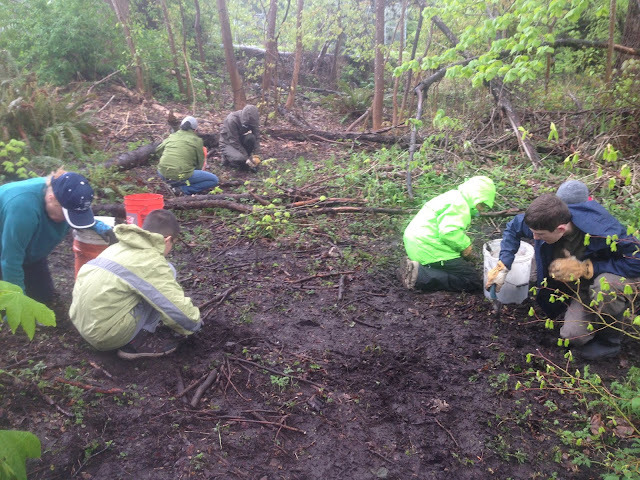 Troop 325 should be congratulated for helping to make real environmental changes that will allow appropriate plants to survive and provide food and shelter for other types of wildlife. They have helped beautify a prominent piece of parkland and made recreational outings there much more enjoyable. All of Shoreline will appreciate their dedication and efforts. For citizens wishing to join the ongoing work, the next work party is Saturday, November 17 from 10:00 to 1:00pm. RSVP or inquire at: RestoreTwinPondsSouth@outlook.com . After December 15, we will work on the fourth Saturday of each month.